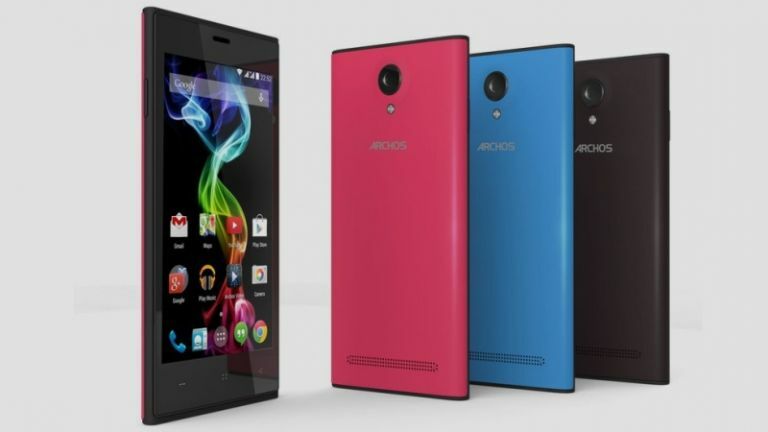 Archos has launched a raft of new Android smartphones that should provide some decent bang for relatively little buck. The new Platinum range comes in two variants, the 45c and 50b, as well as three different colours options - black, blue, and pink. The phones price up at a super low $99 and $119, which translate to around £60 and £70 respectively. Both phones also tout MediaTek's 1.3GHz quad-core MT6582 CPU - not bad, for the price. Siegmund Redl, MediaTek's VP of European marketing, says the phones offer utility, but are designed for the 'affordability conscious consumer'. "The 45c and 50b Platinum smartphones pack surprising performance in stylish and colourful designs," says Redl. "The addition of MediaTek's latest quad-core processors give our Platinum line of smartphones the extra power needed to perform even the most demanding tasks." The two handsets also ship with 4GB of internal storage and 512MB of RAM - not so great. There is a 64GB-friendly microSD slot, on the bright side. The 45c Platinum boasts a 4.5-in IPS display, while the 50b's screen measures up at a slightly more formidable 5-inches corner to corner. The former offers an 854 x 480 resolution, while the latter makes use of 960 x 540 - not fantastic, but decent considering the price. Bluetooth connectivity is in tow, as well as 3G support too, although LTE isn't included this time around. The 45c will use a 1,700mAh battery, while the 50b runs off a 1,900mAh juicer. Both should be fine, considering the low processing power on offer. The smartphone double-act won't be astounding any smartphone fanatics, but it's a decent choice for the super-frugal amongst you.